In a previous post I had discussed about how certain aspects of the Greek lifestyle can help you live longer in relation to a recent article in the New York Times about the people of the Greek island of Ikaria who are among the longest living people in the world. Continuing on this concept, it is known that among the many lifestyle factors is the diet. The “Ikarian” diet is actually the Greek diet 50 years ago. 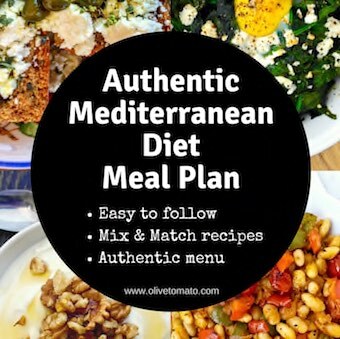 I have analyzed most aspects of this diet on this blog, it’s the diet I followed growing up (thanks to my mother), the diet my grandparents followed, and the diet of most Greeks before 1970. So here are some aspects of the diet I remember experiencing (and still do). I remember just eating vegetables as a main dish. Vegetables such as green beans, peas, eggplant, artichoke, and okra are cooked in olive oil, tomato and herbs and accompanied with bread and feta cheese. One of my favorite foods at some point was okra. What kid likes okra? I did! It has to do with the way it was prepared, slow cooked or roasted with plenty of tomato that made it really delicious. 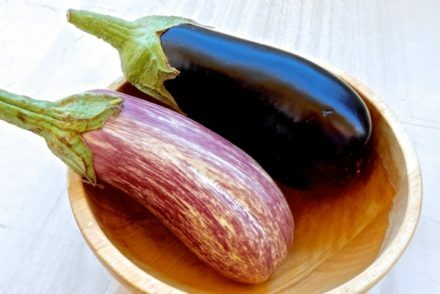 In the Ikarian study by Greek researchers from the University of Athens, it was noted that vegetable consumption is much higher than recommended. In fact Greeks still have the highest consumption of vegetables in the world. And it’s true, a medium plate of cooked vegetables corresponds to about 4 servings. And let’s not forget the religious fasting. For over 180 days a year people like my grandparents would not eat animal products but only vegetables or legumes or grains everyday. Now, this doesn’t mean that they always enjoyed this way of eating. For example my grandfather (the one that lived till 103) Pappous Dinos-as we called him, loved to eat goat and drink goat milk and he wasn’t very religious either, but my grandmother was, so he would be an accidental vegetarian during the fasting periods. And since were talking about goat, these wild goats fed on wild greens, and when you look at the nutrition information for goat and goat milk, they are actually good sources of omega-3 fatty acids. Again it was noted that Ikarians eat horta. Horta are basically greens and usually wild greens. They are cooked and served with olive oil or in salads and may be accompanied with feta and bread. And like many Greek-somethings, yes my mother and grandmother used to pick the dandelions also known as weeds to everybody else from our backyard and boil them and eat them. Horta are also used in pites: savory pies made with phyllo. I remember my grandmother making our favorite pita filled with wild greens and with her own homemade phyllo made with olive oil. This was not your typical spanakopita, this was something else! She would pack it for us when we went on long trips and it really was a meal in itself. There are many varieties of horta, in Crete there are over 150 different types. 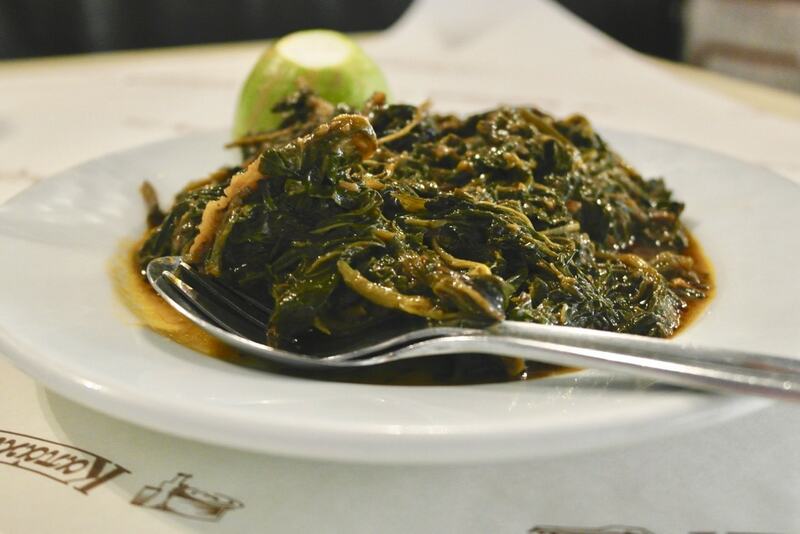 Horta have very few calories, are rich in antioxidants and a source of omega-3 fatty acids. The Ikarians drink many herbal beverages and a special mountain tea is mentioned. This is basically a herbal tea with several varieties growing mainly in the Mediterranean. However, Greeks usually drink it as a warm beverage. I remember having (I still drink it like this) in the winter with rusks, cheese and olives and of course whenever I have a cold. Studies have shown that it is rich in antioxidants. But we Greeks drink other herbal teas as well such as sage (faskomilo), linden (tilio) and even oregano and of course chamomile. Unfortunately younger generations are now into green tea as soft drink companies heavily promote it as a weight loss aid. 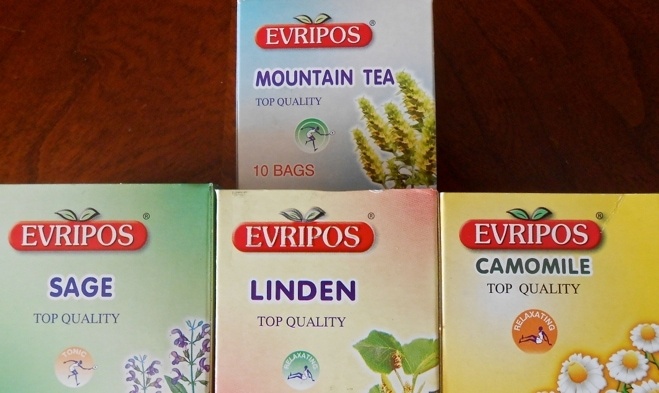 And while green tea has been shown to have numerous benefits, so do these herbal teas, and it is unfortunate that the younger Greeks are rejecting these local herbs with all their benefits. So it was noted that Ikarians drank 2-3 glasses of wine daily. I know many people who would consider that alcoholism, particularly in the Western disorder-obsessed society. I remember all my grandparents having a glass of wine with lunch and dinner, everyday. We grew up having a healthy relationship with alcohol. It wasn’t locked up in a cabinet, nor were we given the impression that it was something undesirable. When I lived in Greece for a few years as a teenager, I remember having my first drink when I was 15, like most Greek teenagers. In fact all our class high school dances took place in clubs and your ticket/invitation included a free drink. Our parents knew this, it was no secret. And that’s what we usually drank: 1 drink. Things were very different and alcohol was not something prohibited but just part of life. Obviously wine with it’s protective antioxidants is the ideal drink. 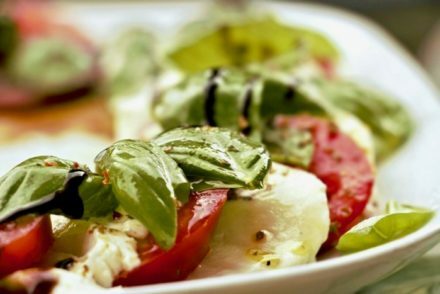 Now why are Ikarians still having a high adherence to the traditional Mediterranean diet? Well we have to remember that Ikaria was and still is, a relatively isolated island, which means it is not so accessible to junk food and processed food as other areas of Greece. And the Ikarians lived on what the island produced; this was the case with the island of Crete long ago. We also have to understand that these studies are conducted on individuals older than 80 years old; it is most likely that the younger generations are not eating this way. The good news is that we can all incorporate these habits to our diet, you don’t have to live on an isolated island. And I am proof of that: my mother managed to raise us on a Greek diet thousands miles away from Greece. Crikey! Your Grandmother made her own filo?! Yes Buffy. 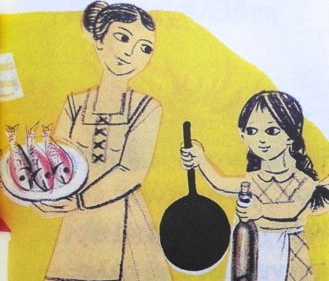 Almost all the women back then made their own phyllo. And it tasted fantastic. My mother and aunts still make their own phyllo. All the foods you mention have been my diet since I was a little kid and continue today also. My one grandmother lived to 101 and my other grandmother was 97. Can I ask… pre 1970.. what type of flour would have been traditionally used? I wouldn’t guess it was the highly refined white flour so popular today. Thanks! Please post a recipe for okra. I love it too! Also, I want to open my own filo, so would love to see the simplest directions you can offer. Yiayia could only tell me a ‘glassful’ of this and a ‘palmful’ of that! Hi Faith. I have posted a recipe for bamies latheres here but I’ll being trying them sun-dried once they are in season in the summer! I have some phyllo recipes, will post soon. Wow! This is so inspiring… I’ve heard that sourdough is common there. I was interested in making my own “Ikarian” style bread…to you have a recipe suggestion? Thank you! Re wine and alcohol: I rememeber a 108-year old lady being interviewed about, you guessed it, the secret to her longevity. Here it is: ‘a glass in the morning, a glass at lunchtime and two glasses at dinner, lots of vegetables, and mountain air”. (ένα ποτηράκι το πρωί, ένα το μεσημέρι και δυό το βράδυ, μπόλικα χόρτα και αέρας του βουνού). That last one is the toughie. Just wanted to say thanks for the information and recipes. Yum! Lovely! Thank your parents for keeping so much to their traditional diet. Many Greeks, Italians, people from le Midi in France, from the Balkans, from the Levant and the relevant parts of Turkey, and from North Africa have adapted to less healthy versions of their traditional diets, not only in North America, but in South America, more northerly Europe and elsewhere. (I didn’t mention Egypt as not all of its foodways were Mediterranean, though they were near the sea). My life to a tee. It is all true and i have been eating like this since i was a kid. My parents are in tye 80’s., my grandparents made it to 96-101 and my great grand parents as much as 112, My great grand father fell out of an orange tree, broke his leg, did not want to go to the hospitol and died at 112 of gangreen. 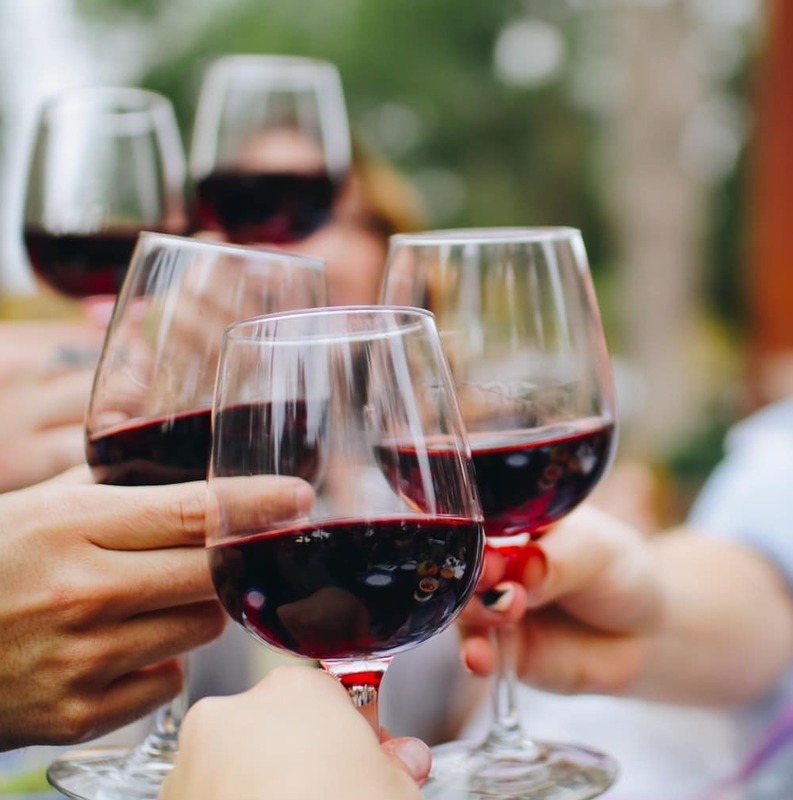 In america growing up we where tuaght that olive oil and wine where bad for you, thank god i did not listen, just a little embarassed when my mom and aunts would pick weeds on the side of the road, lol. Great story you wrote, i really injoyed it. Thank you Tony! Thanks for sharing! Would you tell me the 3 Ingredients Of Famous Ikaria Secret Drink?